Fall is coming (yippee! ), which means that I'm deep in closet re-evaluation land... You know, purging, cleaning and identify gaps in my colder-weather duds. So when I came across these somewhat tired booties from last year, I decided to jazz them up rather than just get rid of them. The result? A fun, updated look that I can't wait to throw on throughout the season. 1. 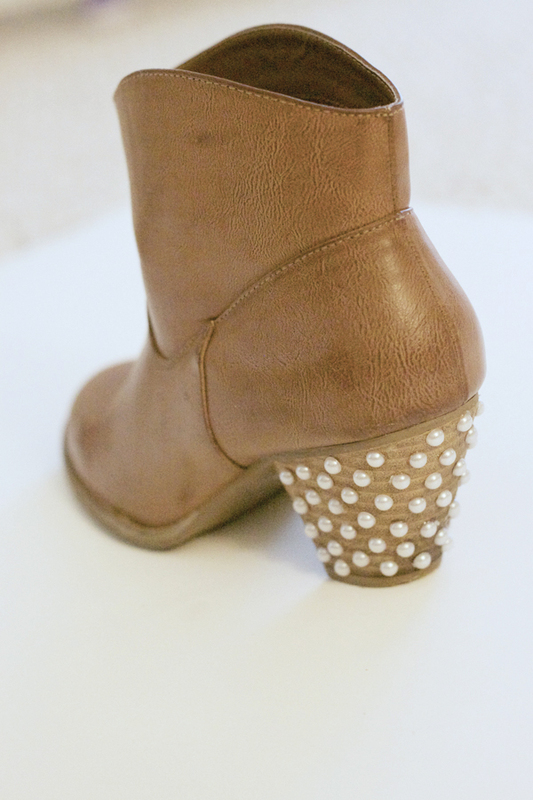 Clean and dry the heel of your boot thoroughly for maximum adhesion. 2. Start applying the pearls with small dabs of glue, holding down to secure each pearl. 3. 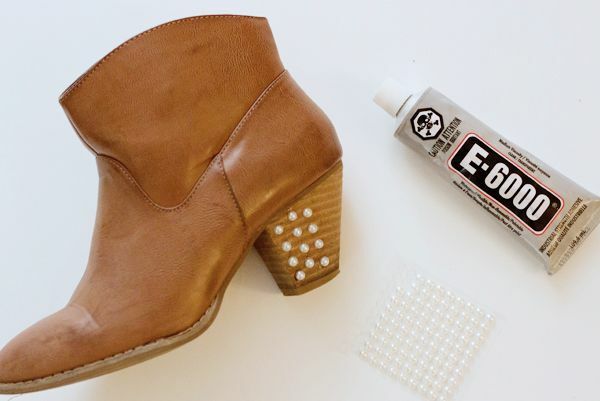 Let boots dry for at least 24 hours before wearing, allowing your embellishments to fully cure. This is such a cute and creative idea! Great DIY! 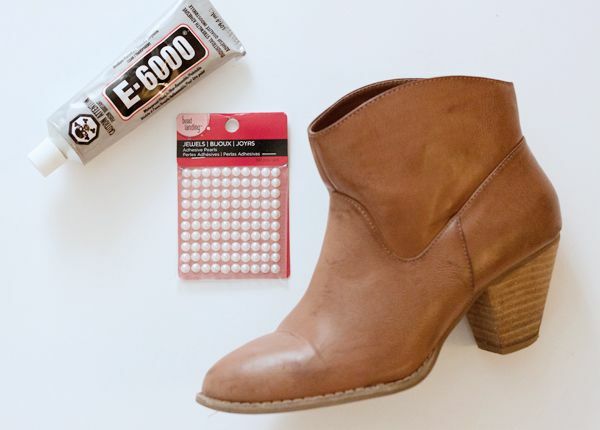 Isn't E6000 Glue the best? 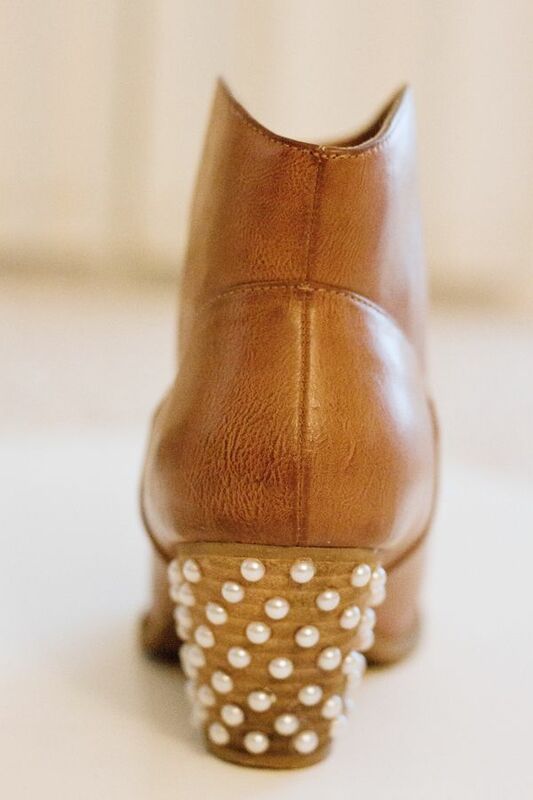 What a great idea to turn regular boots into something special.